Are You Thankful for Twitter? #TDayTips 1: Don’t “save room” for the big meal by skipping breakfast or lunch. You’ll be ravenous and eat way more than you should. 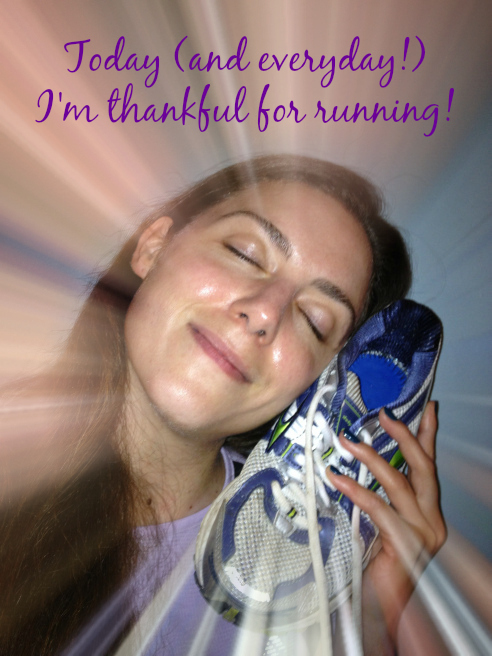 #TDayTips 2 Can you say Turkey Trot? Burn off calories before the big dinner to offset some of the extra goodies you’ll inevitably consume. #TDayTips 3 If you’re heading to a potluck, offer to bring a skinny version of a classic dish (or a healthy new one!). #TDayTips 4 Arrange smaller portions of your favorite foods on half your plate. Then fill the rest of it with salad and veggies. #TDayTips 5 Up for seconds? Fill your water glass, start an “I’m thankful for” chat, and let the tummy register it’s full—it needs 20 mins! #TDayTips 6 Go ahead, have pie! Pick your absolute fave from the dessert buffet, take a small slice & be mindful of every yummy bite. [Sneak Peak] #TDayTips 7 Slow down & savor dinner (and the day!) by chewing more, talking often, and enjoying the good company. Happy Thanksgiving to all! And to all a good meal! Michael K. Farrell and I will be running the Silicon Valley Turkey Trot in San Jose, CA tomorrow morning—yippee! Stay tuned for a race recap next week! Who’s got a Turkey Trot on tomorrow’s menu? Share in the comments below!